Ticket holders from Sunday, Sept. 2, and Monday, Sept. 3, can bring their tickets to Lucas Oil Raceway on Saturday and Sunday for the conclusion of the race. If you need your tickets reprinted, visit the spectator ticket plaza starting Saturday. If you can’t make it back this weekend, you should retain your tickets to use toward ticket purchases for next year’s Mac Tools U.S. Nationals. If you didn’t have a ticket for this past weekend but would like to go this weekend, tickets are available and can be purchased online by clicking here or by phone at (800) 884-6472. 11 a.m. – Pro Stock qualifying session including motorcycles and cars. 12:15 p.m. – Traxxas Shootout driver introductions immediately followed by the first round of the Traxxas Shootout. 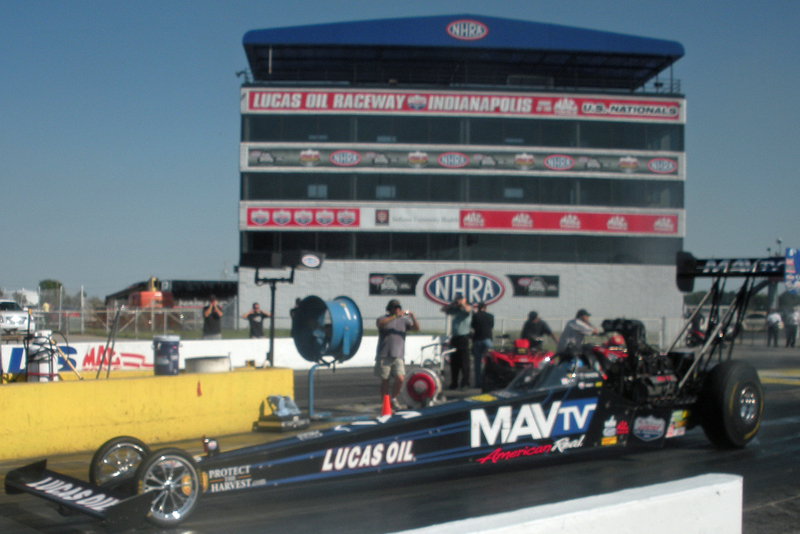 12:45 p.m. – Nitro Funny Car and Top Fuel qualifying session. 2:30 p.m. – Pro Stock qualifying session. 3:30 p.m. – Second round of the Traxxas Shootout. 3:40 p.m. – Nitro Funny Car and Top Fuel qualifying session. 4:30 p.m. – Final round of the Traxxas Shootout. On Sunday, gates once again open at 7:30 a.m. with action on the track beginning at 8:30 a.m. with the Sportsman eliminations. Pre-race ceremonies begin at 10 a.m. and final eliminations begin at 11 a.m. I’m crossing my fingers that Mother Nature will cooperate this weekend. 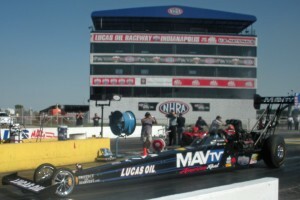 For more information about the 2012 Mac Tools U.S. Nationals, you can read previous posts on this blog by clicking here; you can go to the Lucas Oil Raceway website; or you can call the ticket office toll free at (800) 884-6472.